One year after taking the Centenario up the Goodwood hill, Lamborghini is taking the open-top Centenario Roadster to this year's Festival of Speed. Only 20 Centenarios were made to celebrate the 100th anniversary of Ferruccio Lamborghini’s birthday, with 20 more Centenario roadsters following – each at a cost starting at around $2.3 million. All 40 were sold prior to launch, too. The Centenario Roadster will be in the Michelin Supercar paddock alongside the Huracán Performante and Spyder, as well as the Aventador S Coupé and Roadster. Also at the Festival of Speed will be the new Lamborghini Urus Super SUV, making its first official dynamic appearance in the UK since one served as a safety car for the Lamborghini Super Trofeo races at Silverstone in May. It will be joined by the new Lamborghini Performante Spyder. "Goodwood Festival of Speed marks the arrival of the Lamborghini Urus Super SUV in the UK, with the first cars about to be delivered to customers," said Andrea Baldi, CEO Lamborghini EMEA. 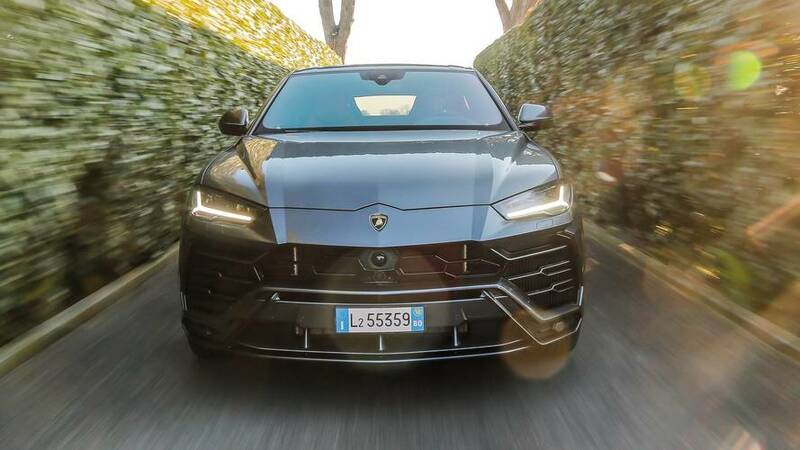 "The lineup of the Urus Super SUV as well as our V12 and V10 super sports cars means that fans of Lamborghini are promised a resounding display of iconic design and performance as each car runs up the Goodwood hill."